Special Guest Matthew Winner is an elementary school librarian living in Howard County, Maryland. He is the host of The Children’s Book Podcast (formerly All The Wonders), a weekly podcast featuring insightful and sincere interviews with authors, illustrators, and everyone involved in taking a book from drawing board to bookshelf. He is the author of ASHA WENT WALKING, a webcomic for young readers illustrated by Lorian Tu-Dean about a girl, her arctic fox companion, and her magic bag. In 2013 Matthew was named a Library Journal Mover & Shaker and was invited to the White House as part of the Champions of Change program. 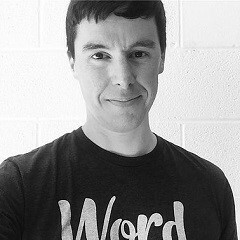 Matthew currently teaches library media at Swansfield Elementary School in Columbia, Maryland.